Flare Tower Lamp - Short (PL2205) at Pure Design / Accessories / Lighting ::: Furniture for the Home, Office, Home Office, and More at Pure Design Online! 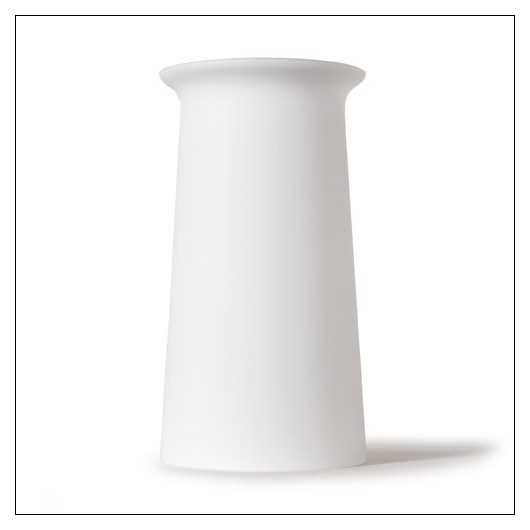 Minimal in form, this glowing tower with a gentle flare at the top sits comfortably in any environment or setting. When paired with the Flare Tower - Tall is makes a simple architectural statement in light. The Flare Tower - Short is hand crafted using hand blown glass. Hand blown glass globes around a UL approved lamp base. Accepts a standard 60 watt, type A bulb.